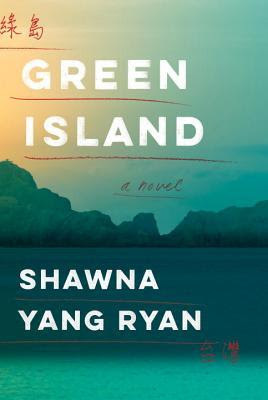 Welcome to another new author interview session and right now, we will welcome, Shawna Yang Ryan, whose new book, Green Island, is making a lot of noise in the literary world. Let's talk with her to know about this talented writer, her books and her life beyond books and all. Me: Hello and welcome to my blog, Shawna. Congratulations on your new book, Green Island. How will you express your feelings about this book that has already won the hearts of so many readers? Shawna: Hi, Aditi! Thank you so much. I’m excited to finally have this book out in the world. It was a very long writing process. At a certain point, I was starting to feel guilty that so many people had shared their stories with me and I still didn’t have a manuscript to show for it, so I’m very glad now to be able to present this book to them. 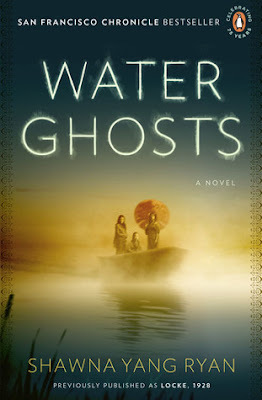 I’m also so pleased to have the opportunity to share the story of Taiwan with readers. Me: How did you research for your book that is based on Martial Law in Taiwan? Can you tell us briefly about it? Shawna: The story spans from 1947 to 2003 and follows a family as they try to make a life under martial law Taiwan after the father’s imprisonment. I researched by reading scholarly and historical texts, looking at old pictures and old movies, and by talking to people. That was really the key—to hear people’s stories and understand the era as it was experienced—to find the subjective, not objective, reality of the times. Me: Did you travel extensively for the purpose of research, as you have diligently captured Taipei with your words and especially in that era? Shawna: I did! I lived in Taiwan for three years after I began the book, and tried to go to as many places as possible. It helps that my aunt is a travel agent, so she could introduce me to new locations in Taiwan. I’m very good at wandering—sometimes unplanned travel leads to the most serendipitous discoveries, and that was often the case for me. Me: Tell us one trait about your main character, the nameless narrator, that intrigues you the most. Shawna: I’m intrigued by her moral ambiguity. I thought it would be interesting to have a character who didn’t have a clear moral compass—who was pulled by many concerns, and was always weighing one option against the other. I think many people function at this wavelength, so she seems very real to me in this regard. Me: How will you describe your journey so far as an author? Shawna: I think I have been extremely lucky. Lucky to have even had the opportunity to try my hand at writing; even luckier to make it a career. My parents, thankfully, encouraged me to follow my dreams, and didn’t protest when I didn’t go into something more lucrative. Having that kind of support is invaluable. Me: What other passions do you have apart from writing? Shawna: Now that I’ve finished this novel, I’ve finally had time to take up some hobbies. I’m trying my hand at cooking. I recently attended an improv comedy class, which I loved, and found really similar to creative writing, so I’m interested in doing more with that. I’m really intrigued by animals, particularly dogs. For most of my life, I was afraid of dogs because I was bit by one as a toddler (and still have a scar! ), but I overcame that fear, and now I have a fascination with them, particularly my own two dogs. Lastly, I live in Hawaii, so I’m a bit obsessed with the ocean and the beach. Being in the ocean, carried on the waves, is the best cure for whatever ails you. Shawna: I have a couple of projects in mind that I’ve been dabbling with—all very different. I can’t really talk about them yet—they are too nebulous right now, but I will say that I see a return to California as a subject. I’m also really interested in the Industrial Revolution, and the relationship between labor, men and machines. Me: Thanks Shawna for joining me today on this interview session. I wish you luck for all your future endeavors. Shawna: Thank you! It was a pleasure having this conversation with you! SHAWNA YANG RYAN is a former Fulbright scholar and teaches in the Creative Writing Program at the University of Hawai'i at Manoa. Her short fiction has appeared in ZYZZYVA, The Asian American Literary Review, Kartika Review, and The Berkeley Fiction Review. She is the 2015 recipient of the Elliot Cades Emerging Writer award. Originally from California, she now lives in Honolulu.